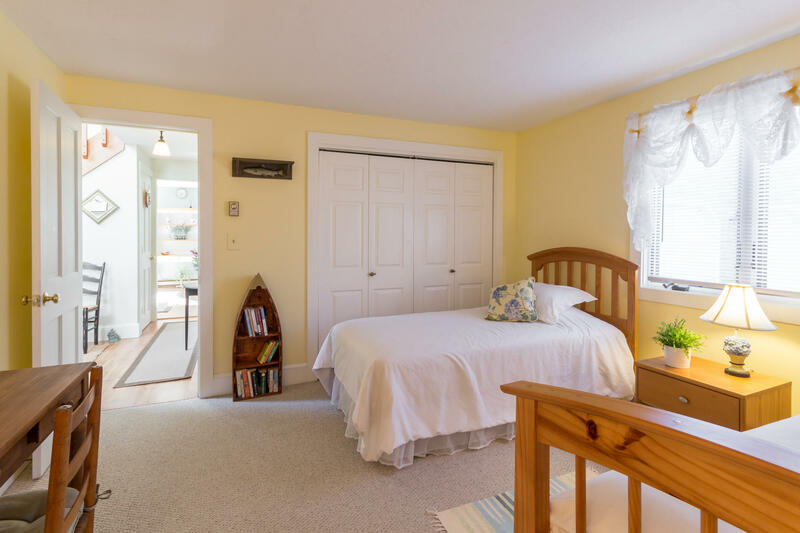 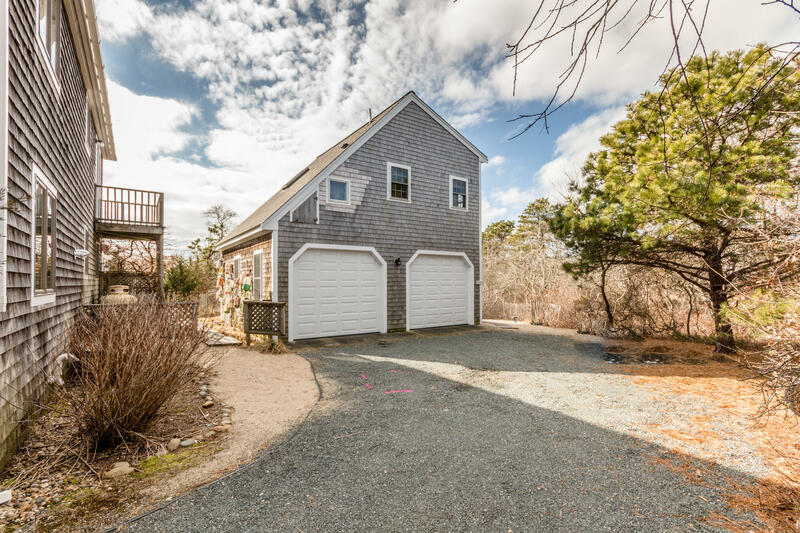 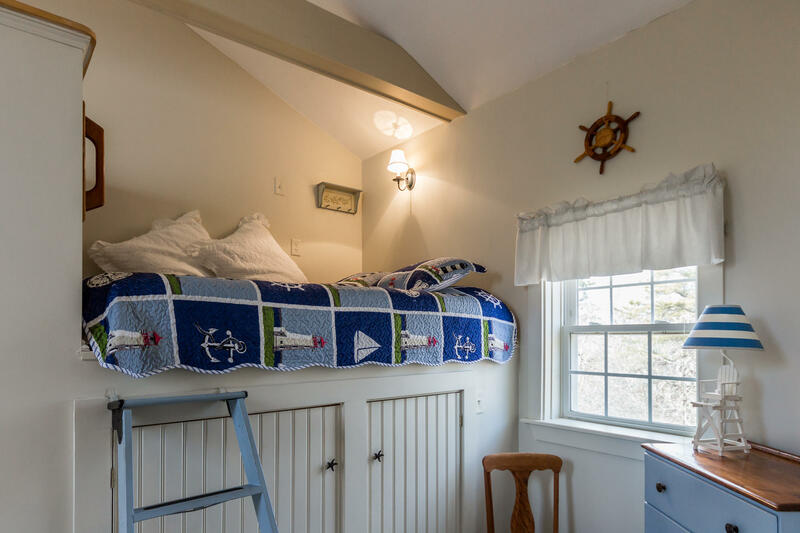 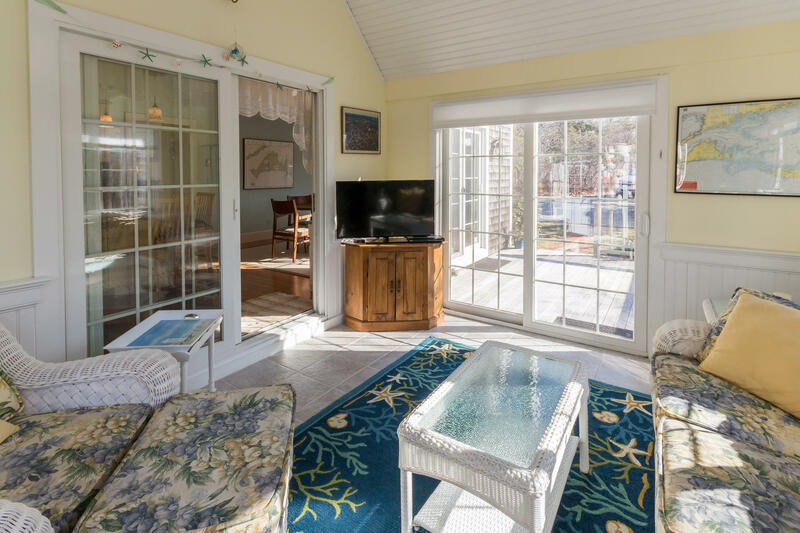 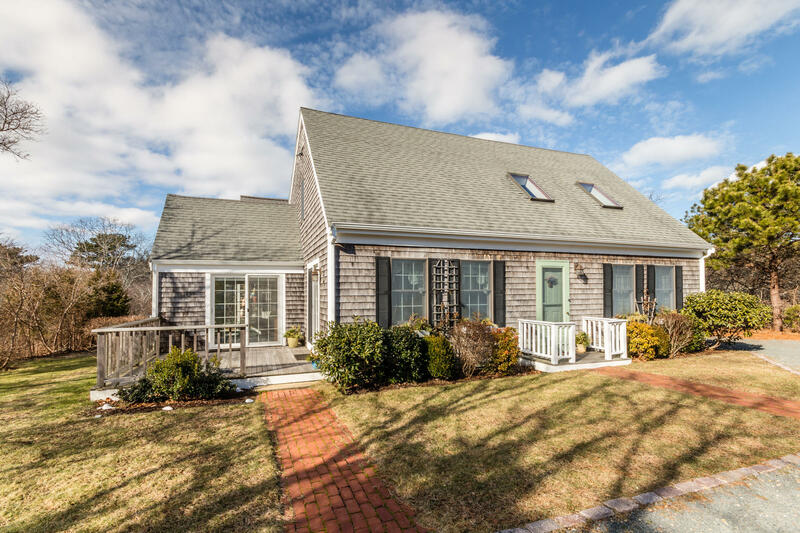 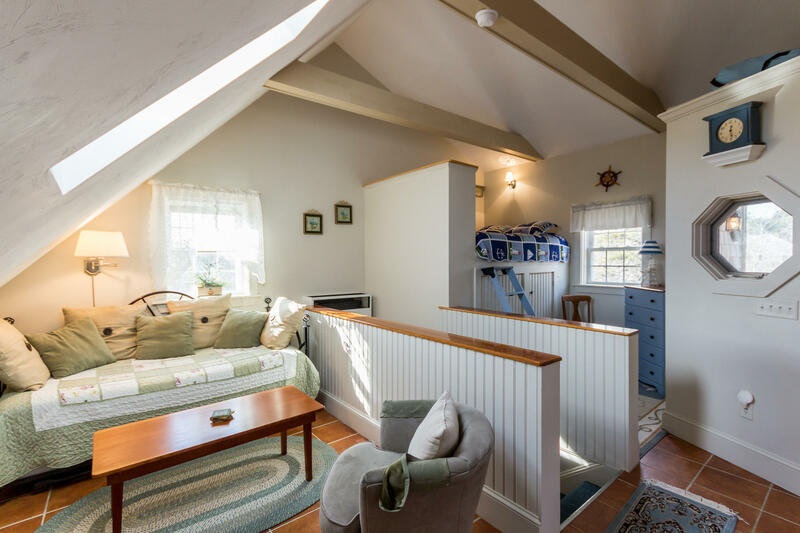 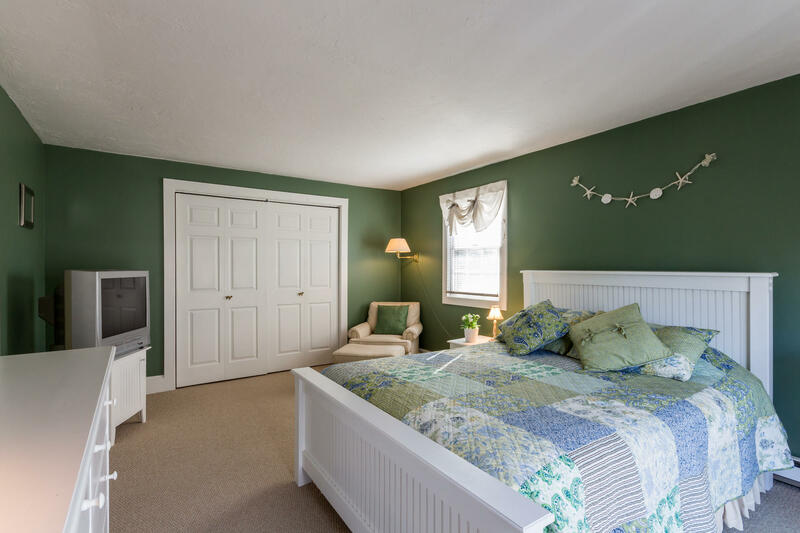 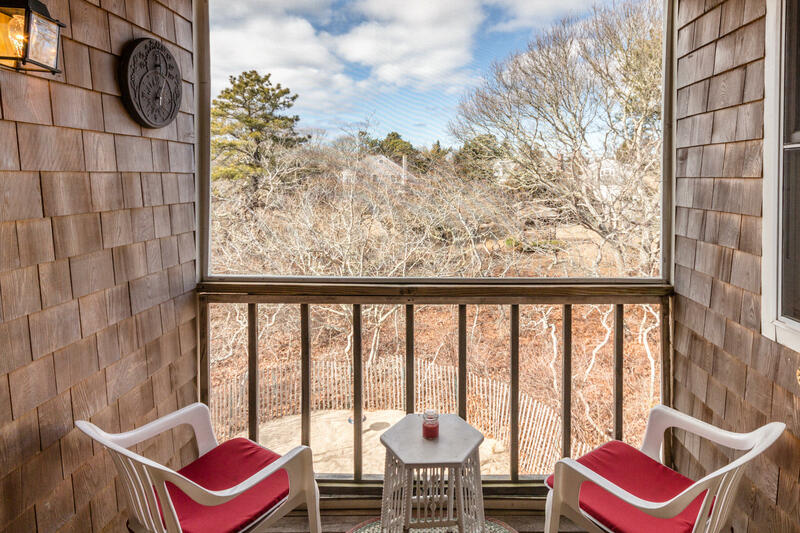 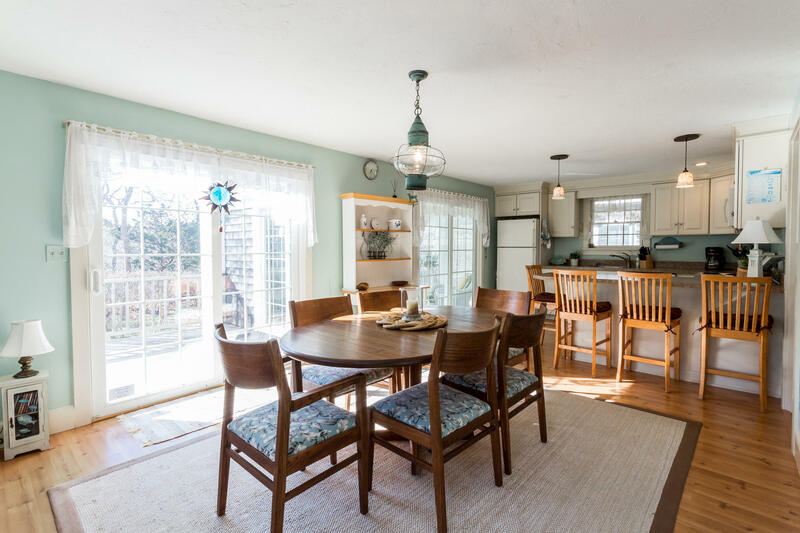 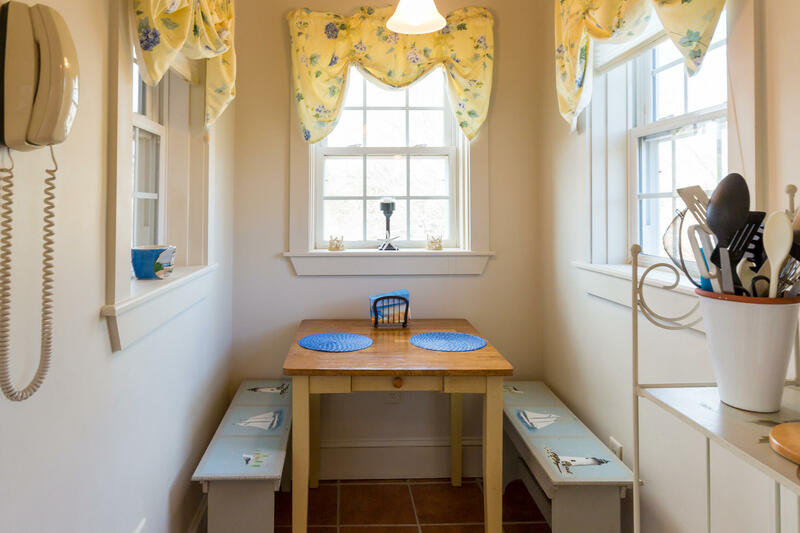 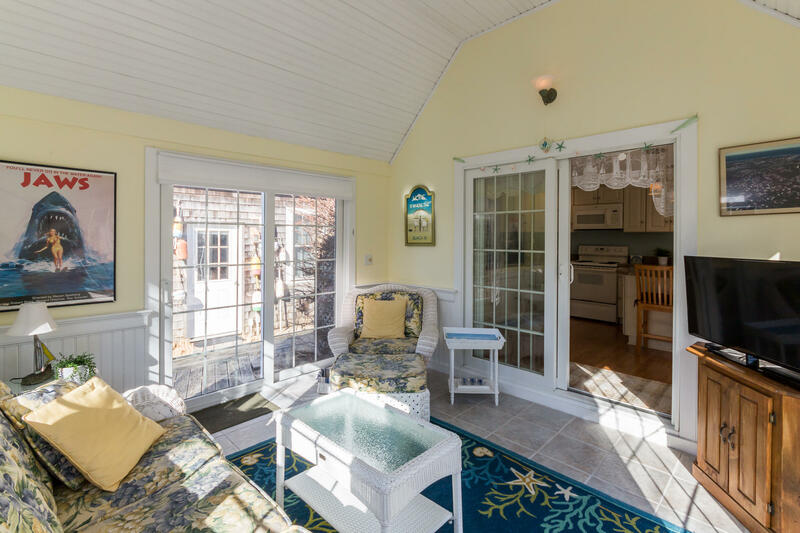 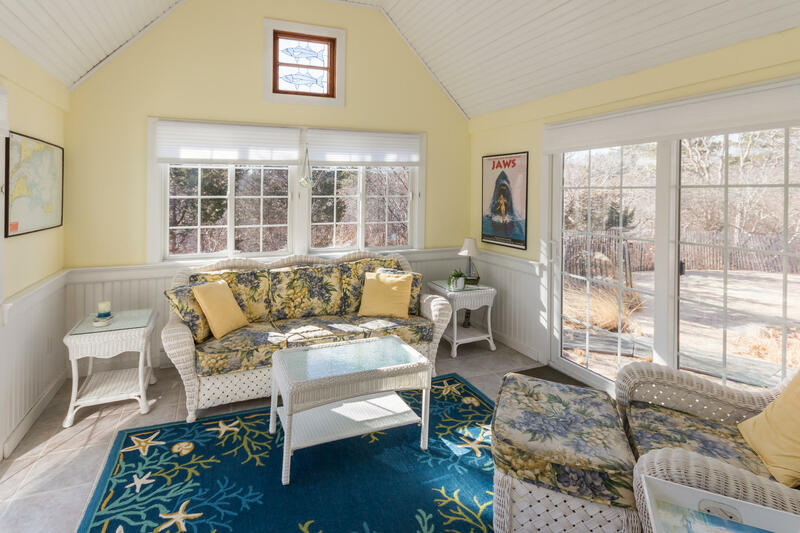 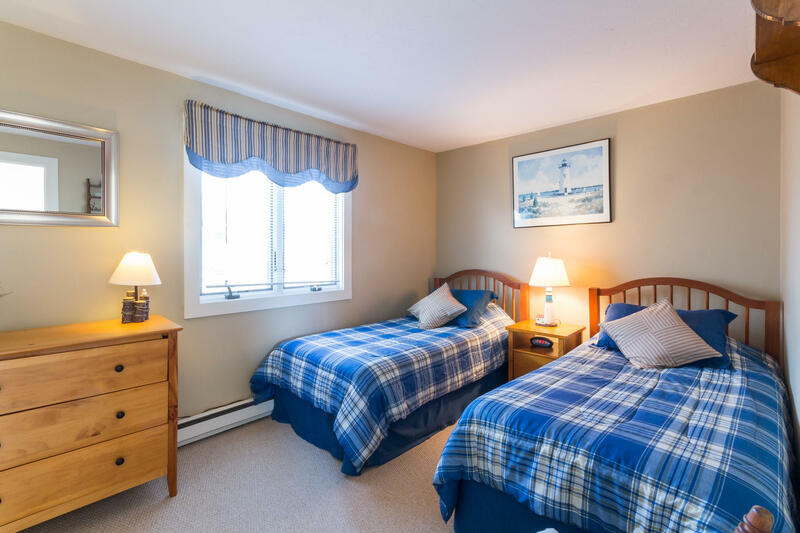 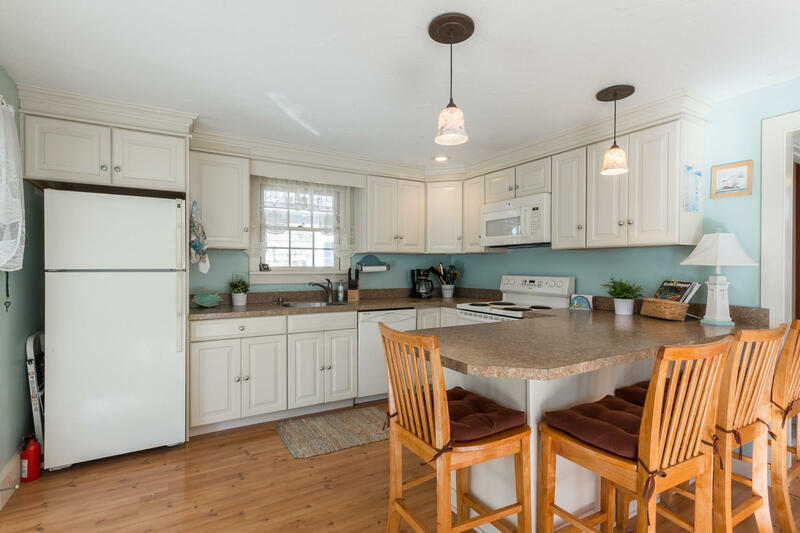 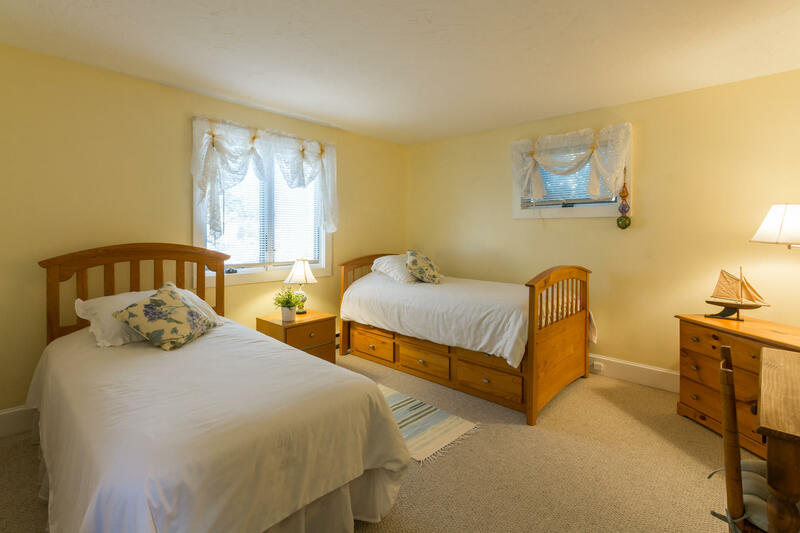 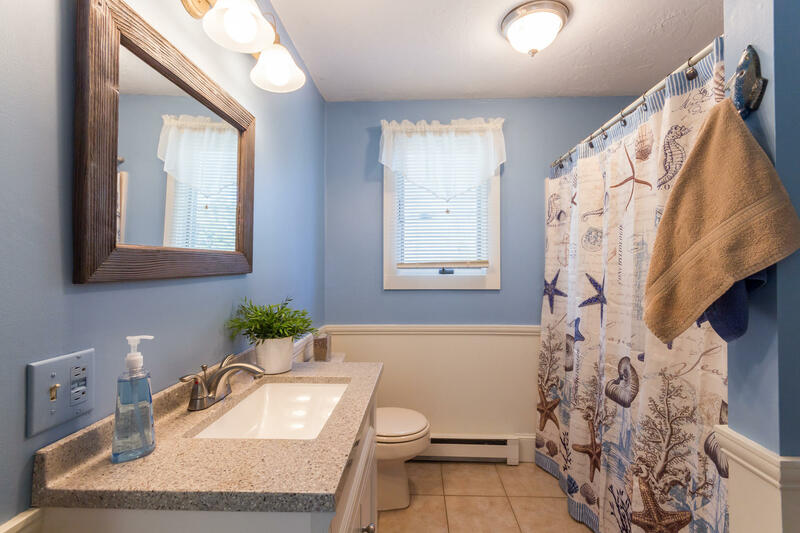 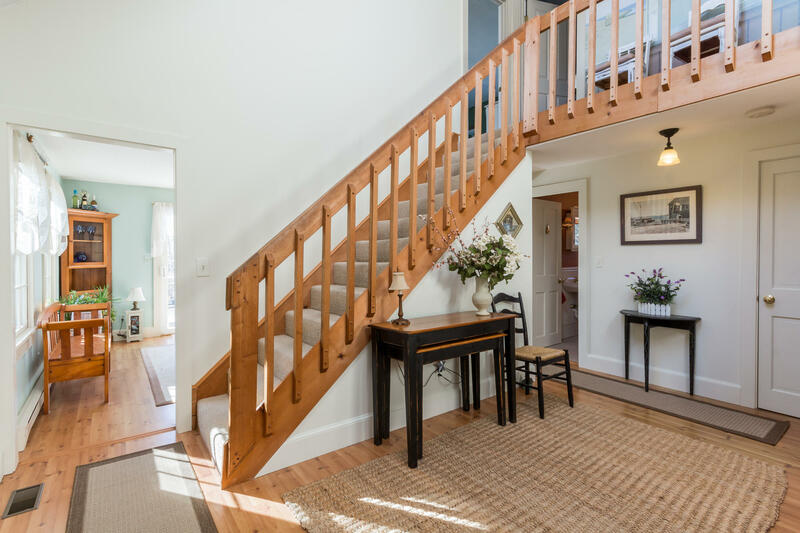 Beach House and detached bedroom suite in Edgartown Estates - This property is the epitome of what the Island is all about. 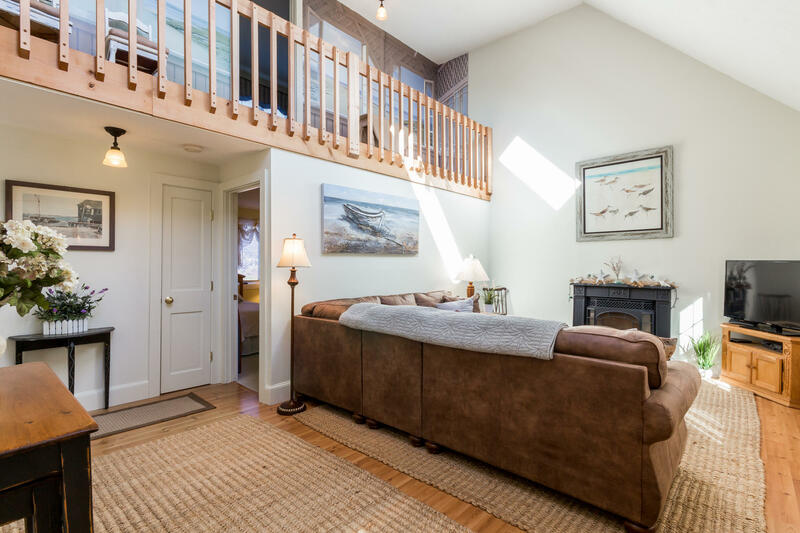 The owners took an essential element of the Island and interpreted it in this fabulous property. 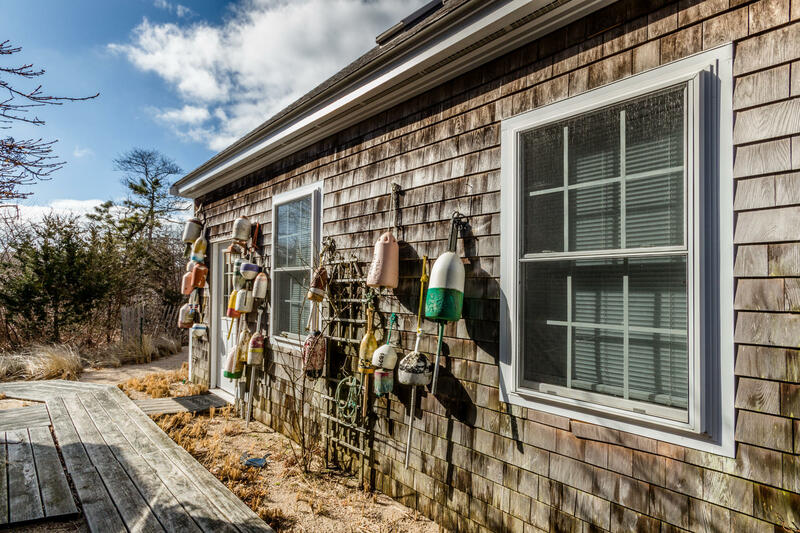 In addition to a great location in an established community, they used their creativity both inside the buildings and the surrounding yard. 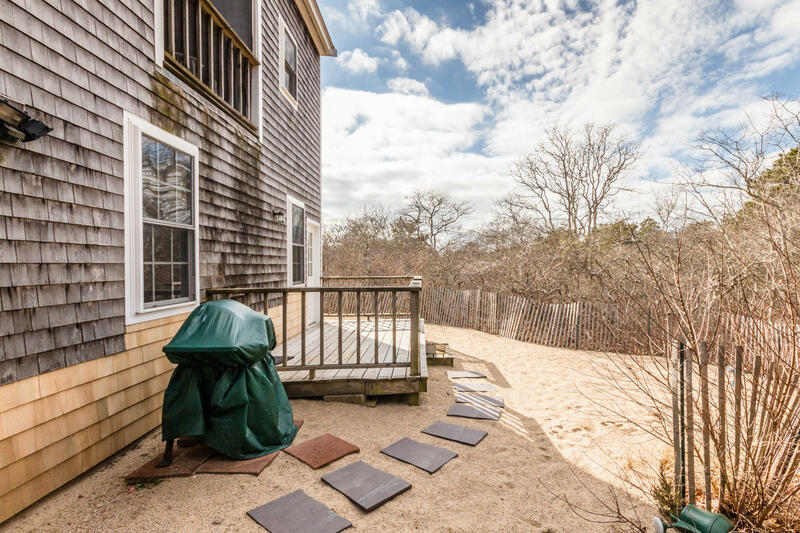 The 3 bedroom house and 1 bedroom suite above a 2 car garage are connected by a boardwalk, beach sand, and beach grasses. 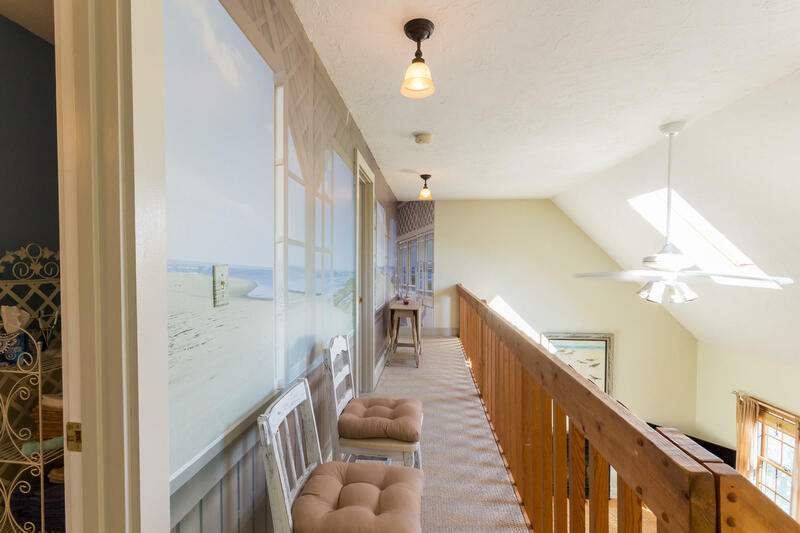 The interior of the house has a beach scene mural on the second floor that adds dimension to the living space. 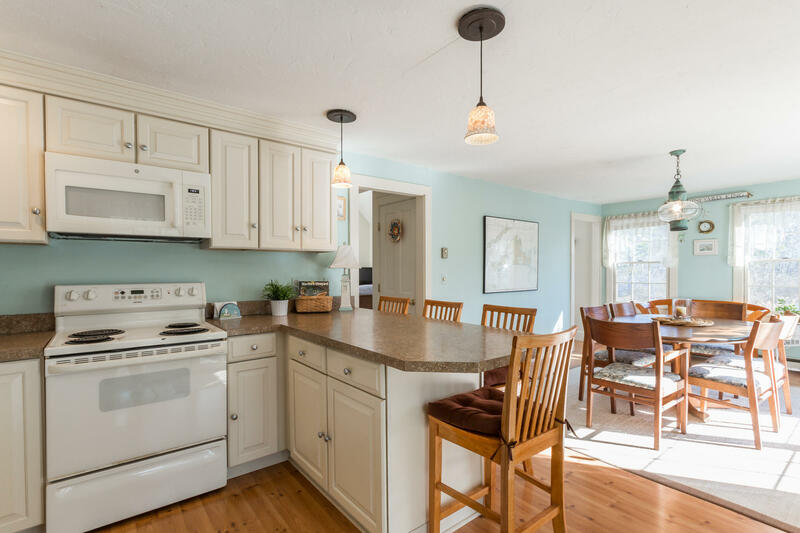 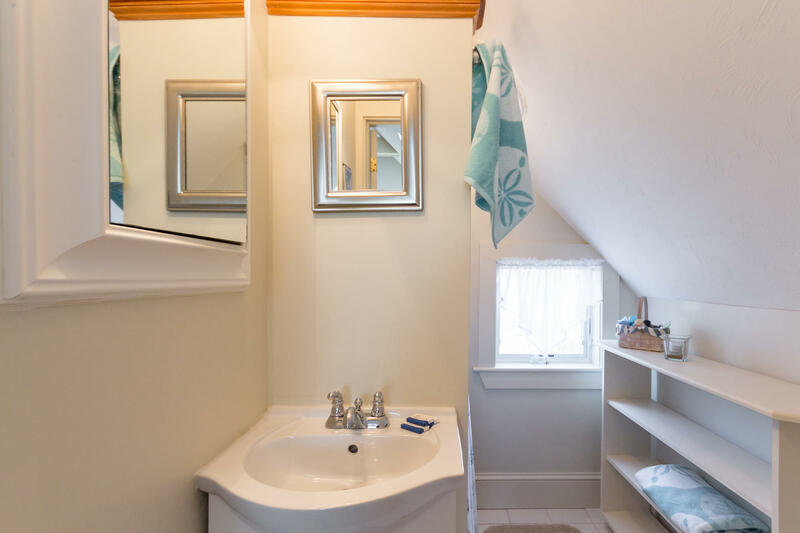 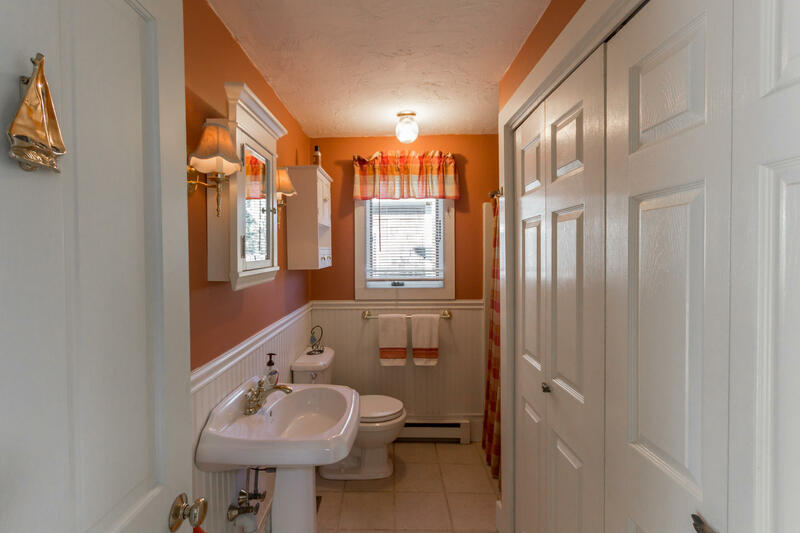 The house has been meticulously maintained and recently upgraded. 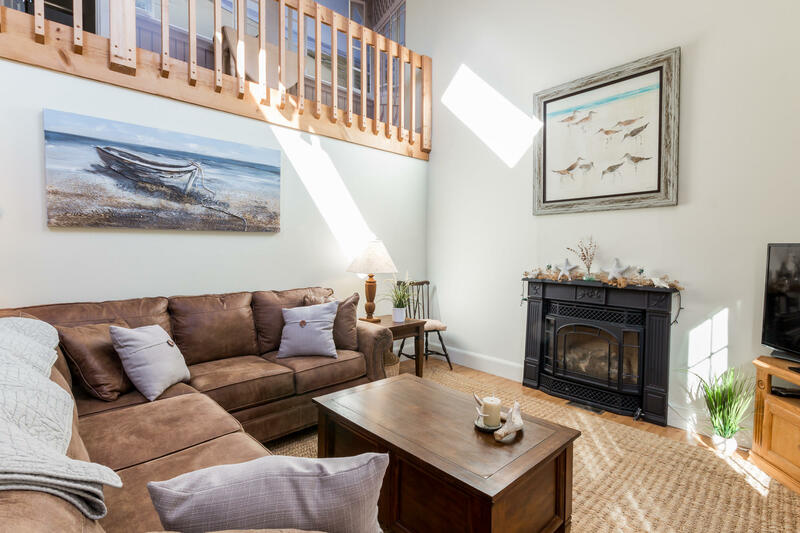 A gas fireplace in the living room is available for the off-season chill or to take the edge off a cold winter evening.